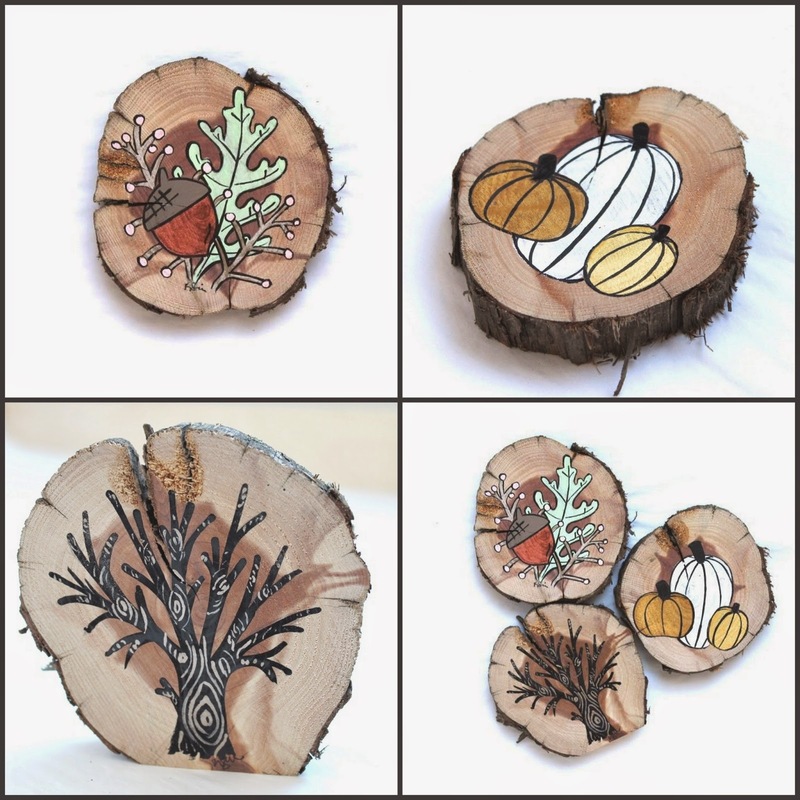 My fall cedar slice collection is here! I've created three brand new original painting designs to celebrate the upcoming autumn season. 3. Fall Foliage: my personal favorite new design features a sprig of dusty miller, an acorn, and a branch laden with fall berries. It's the perfect fall floral arrangement eternally preserved in a painting. Each wall hanging features an original hand painted design on a cedar log slice (harvested from naturally fallen logs, so it's environmentally friendly). The natural colors of the wood and the rich cedar smell it gives off add a rustic and woodsy touch to these pieces. A sawtooth hanger is attached to each log slice for easy display. All images and designs are copyright 2014 Kristi Schmit. Important Announcement - Shops Merging!